Due to the special geological location of Iceland (over a volcano), the high concentration of volcanoes in the area is often an advantage in the generation of geothermal energy, the heating and production of electricity. During winter, pavements near these areas are heated up. This causes heat to come to the surface. Five major geothermal power plants exist in Iceland, which produce approximately 26.2% of the nation's energy. 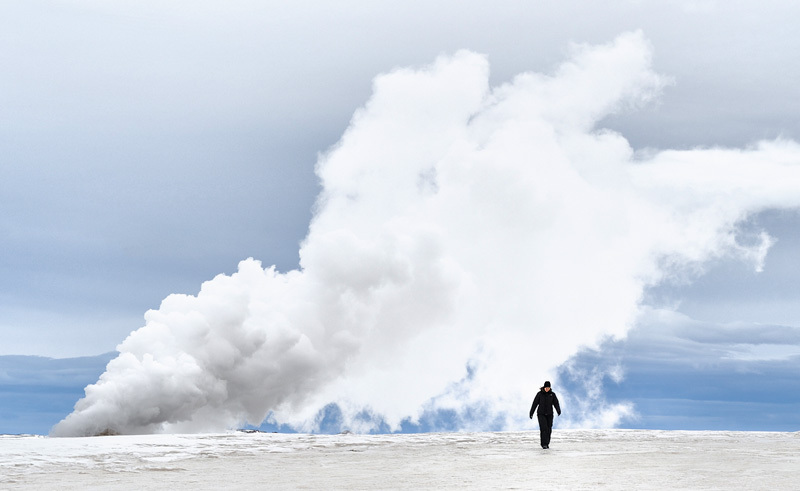 In addition, geothermal heating meets the heating and hot water requirements of approximately 87% of all buildings in Iceland. This was shot at one of those geothermal areas. I included Daniella for scale.